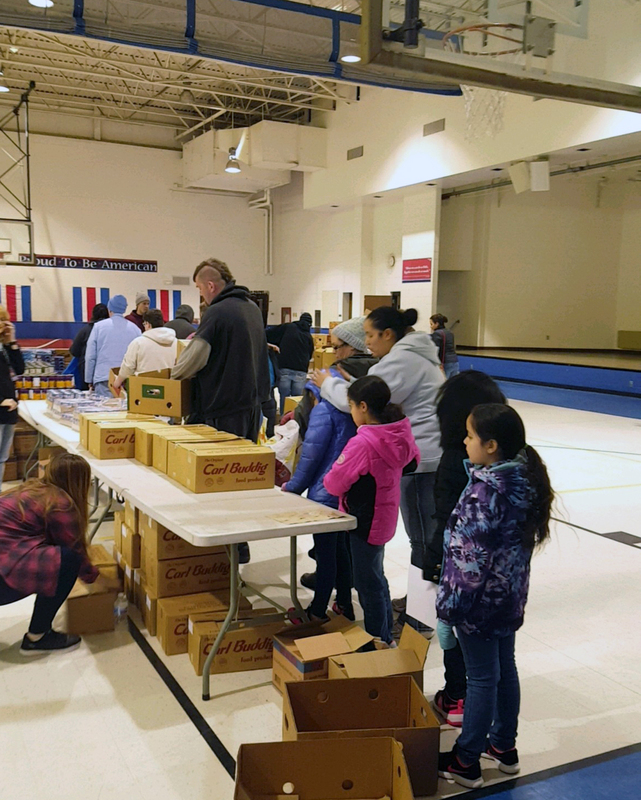 In 2018, the Food Bank of Northwest Indiana Mobile Marketplace began visiting area schools and after-school programs to better address childhood hunger and provide more complete food assistance to working families with schoolchildren. The mobile food distribution program has traveled to a different community almost every week for the past seven years, providing food assistance to as many as 250 families some weeks. Students and families from Lake Station schools visit an after-school Mobile Marketplace. Mobile Marketplace is available to all Northwest Indiana residents in need of food assistance. In addition to weekly community sites, the Food Bank will partner with school-based and after school Mobile Marketplace sites to make the resource available to children and families within the schools and communities served. Each distribution may include fresh fruits, vegetables, protein, grains, canned goods, and other grocery items. Four school/after-school sites have signed on to host Mobile Marketplace in 2018, and the Food Bank hopes to increase that number in the new year. Each distribution can provide up to 30 pounds of nutritious food and groceries to 100-300 families. Mobile Marketplace is made possible in part thanks to local donors and partners, including Legacy Foundation, Glick Philanthropies, and International Paper Foundation.